The Catenian Association was founded in Manchester in 1908 for Catholic men, based on an idea of the Bishop of Salford. It is now over 10,000 strong with more than 300 branches (known as Circles) in all the main centres throughout the UK. There are other Circles in Africa, Australia Hong Kong. Goa, Malta and Ireland. Tandridge Circle has a membership of around 30 with the majority drawn from the Sacred Heart Parish. Members are from all occupations and represent a wide range of ages, including retired persons. A number of members are also members of other Circles. Although most are married, there are a number of single men and widowers, all of whom take a full and active part in the Circle. Tandridge Circle currently meets once a month at the Brunton Centre in Chaldon Road, Caterham for a Meeting and Dinner. 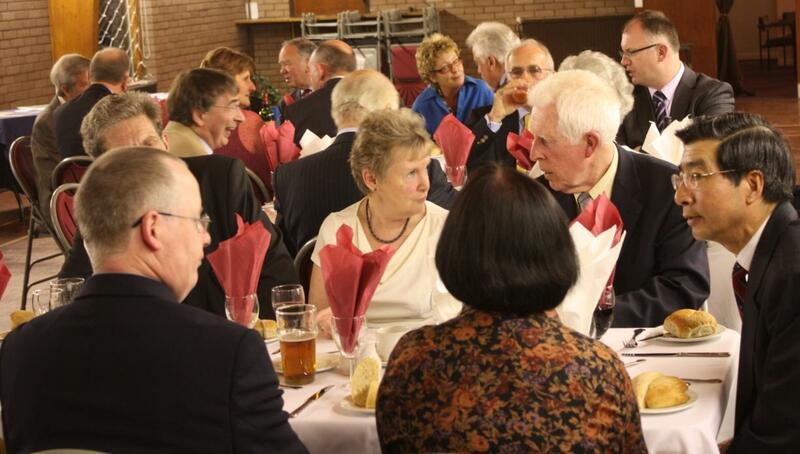 A full and varied programme of events is planned each year involving:- Ladies Nights, President’s Sunday – mass and a family lunch, Clergy Night – when we thank our clergy with a Dinner, Theatre Nights supporting our local Miller Centre in Caterham, Special Masses, Walks and Pub Lunches and Skittles Nights. At provincial level there are also Retreats and Weekends away and Golfing Days. A Catenian dinner is a pleasant social occasion. The Catenians have a Benevolent Fund to support Brothers and their Families in need and a Bursary Fund that is available for young people up to the age of 25 who wish to take part in suitable voluntary projects at home or overseas. In addition a charity is nominated each year with money being raised at after Dinner Raffles for Charities such as Aid to the Church in need and Help for Heros.